If you love a good party like I do, you are going to love what all of these ladies have to share on Pinterest. I love looking through Pinterest and admiring all of the beautiful and creative parties. Pinterest is always the first place I go for inspiration when I’m planning a party for Moms & Munchkins. Helpful Hint – If you click on any of the pictures, it will take you directly to that party on the designers website so you can read more about the fabulous party along with more beautiful photos. Brittany of GreyGrey Designs always amazes me with the details in her parties. 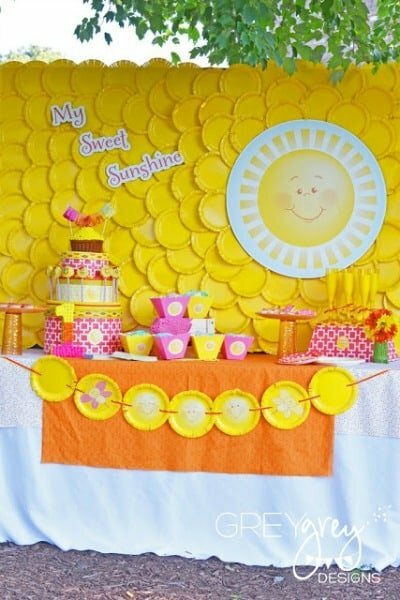 Just check out this My Sweet Sunshine Party – adorable! I believe that Bird of Bird’s Party is a creative genius! She is just as sweet as she is creative and you can see this through the party ideas she shares on her blog and in her magazine. She works with a lot of creative party designers so she always has fabulous ideas to share. 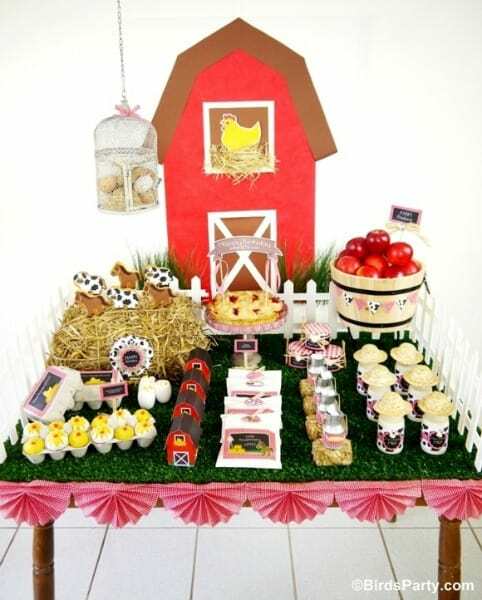 This Barnyard Party was a source of inspiration while I planned my son’s Farm Animal Party earlier this year. 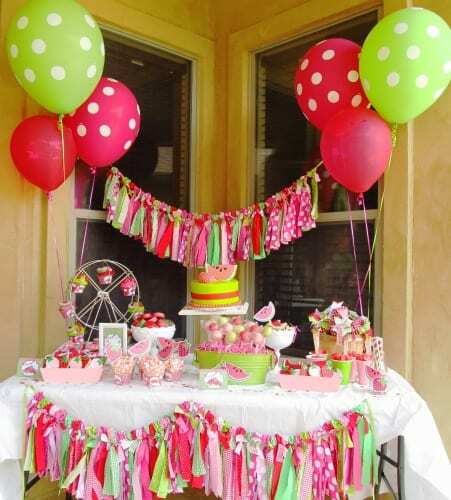 Growing up I always dreamed of pretty pink birthday parties with ruffles and Barbie cakes. Now that I am a mommy to a little boy, my party planning interests have shifted to dirt, bugs and construction! Spaceships and Laser Beams is the place to go for boy party planning inspiration. 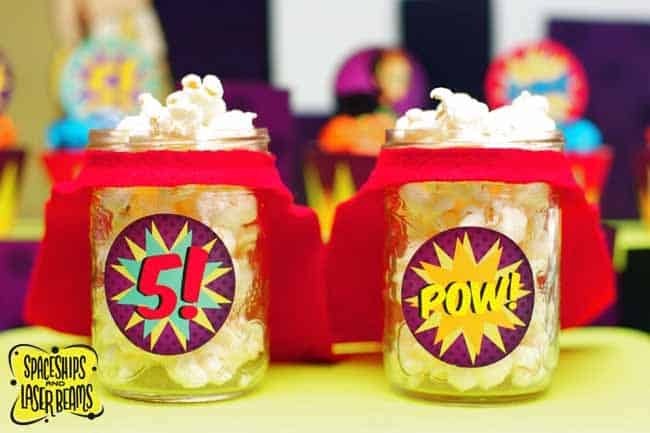 Stephanie has a large selection of ideas for boys parties including ideas for decorating, food, activities, favors and everything in between. She has also just launched a Pinterest Group Board dedicated to The Best Boy Party Ideas that anyone with a little boy will want to follow. 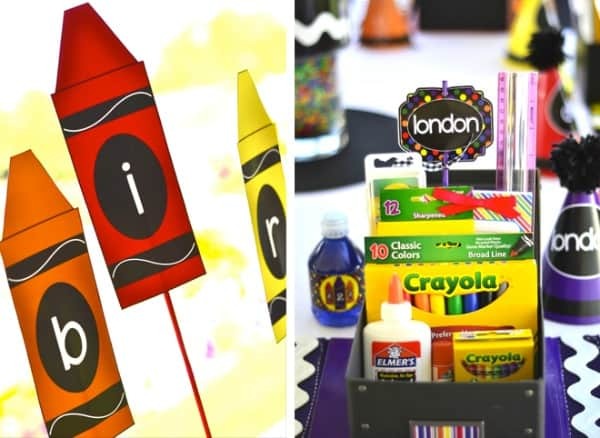 Mariah of Giggles Galore thinks of such creative themes for parties. 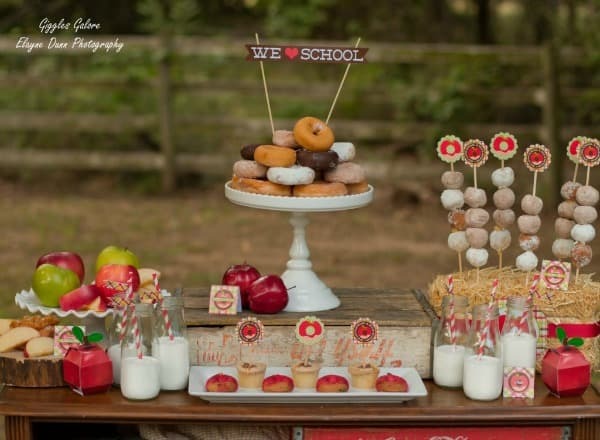 Just check out this Apples and Donuts Back to School Party that we featured in our Back to School Party Roundup. Kate of Events By Kate is always coming up with ideas to take parties to an extraordinary level. She is always thinking outside the box to come up with the most unique party themes to make that big day extra special. I came across Lillian Hope Designs a few weeks ago and I was blown away by her creativity. I love how she can take somewhat ordinary items and create beautiful party accessories with them. 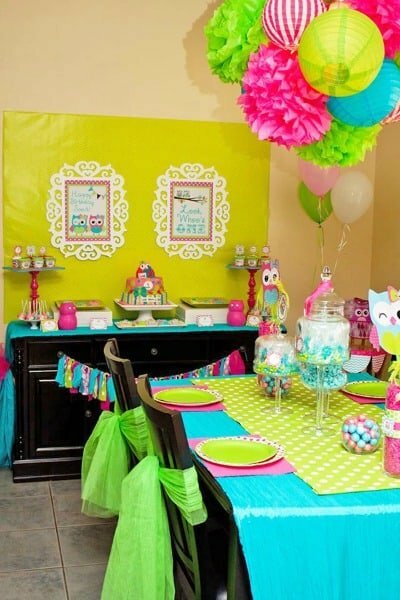 Check out this gorgeous and colorful Look Whoo’s Turning One Owl Birthday Party. 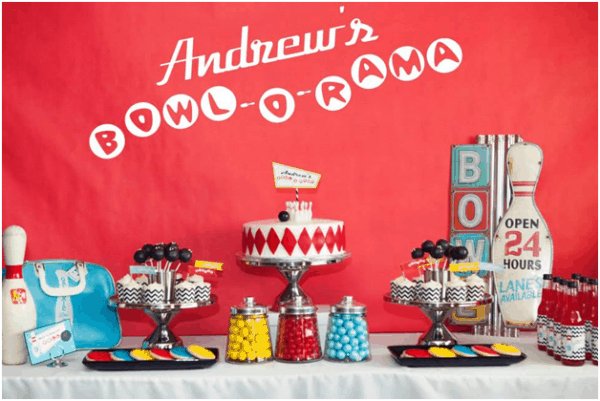 If you’ve been following Moms & Munchkins for a while now, you’ve seen Amanda’s Parties TO GO designs used in our parties a few times (check out this Monster Truck Party). She has so many designs available in her shop that you’re sure to find one that fits your party theme. You’ll find loads of inspiration on her blog along with some freebies too! I’ve worked with Heather of Chickabug a few times and she is always such a pleasure to work with. 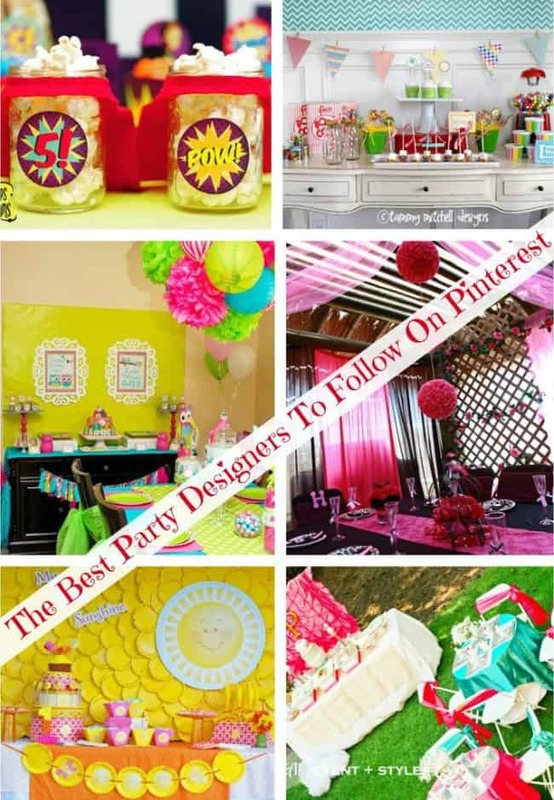 She has over 100 party boards on Pinterest loaded with party planning inspiration. 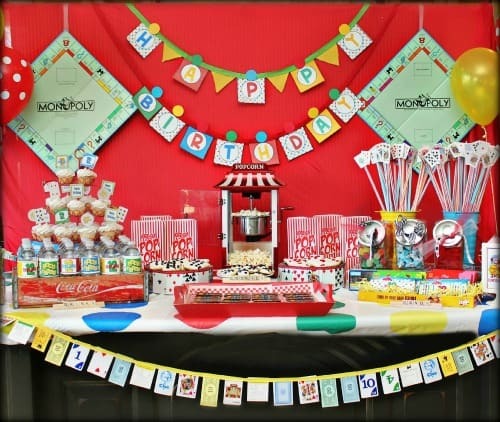 Dawn of Not Just a Mommy is full of fun ideas for all types of celebrations. I love how she can reuse items for multiple party themes but still have each party look so unique. Another party designer that you’ve seen featured here on Moms & Munchkins is Holly of Mimi’s Dollhouse (check out this Princess & Knight Party). She has plenty of ideas for birthdays, baby showers, weddings and all other special celebrations and holidays. 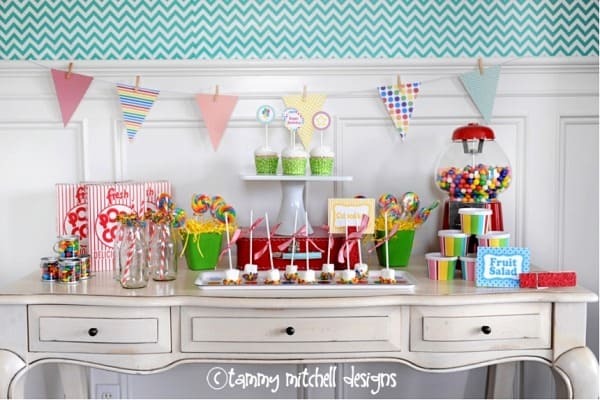 Tammy of Pink Peppermint Prints was featured on Moms & Munchkins last month in a Party Tip Tuesday feature. I love her “Get The Look” series where she shows you where you can find all of the party supplies used and the price for each. A brilliant idea! She also shares a lot of great decorating tutorials that you’ll want to check out. 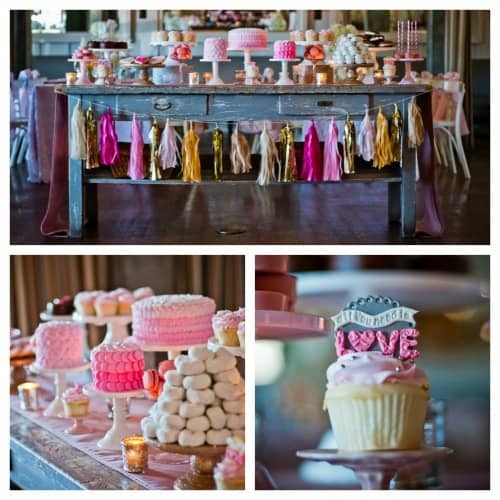 Another party designer that I really admire is Dina of Deliciously Darling Events. Her party designs are always so breathtaking! 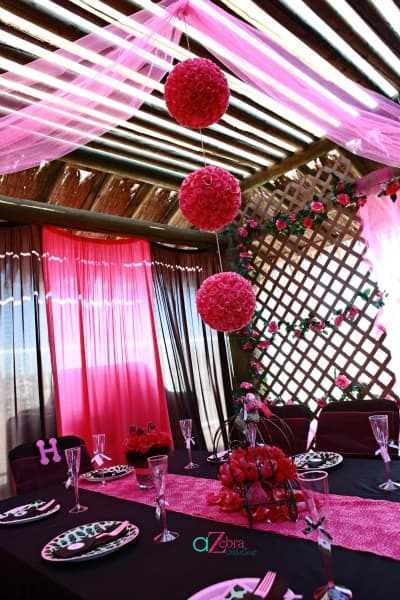 If you want to throw a party that’s sure to impress, you’ll want to check out Dina’s ideas. Another woman who knows how to throw a stunning event is Chris of Celebrations at Home. 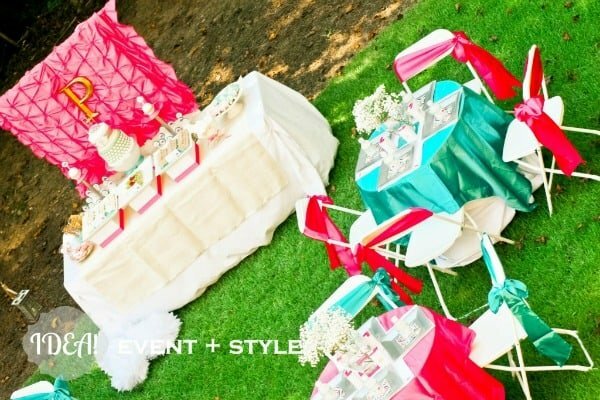 She has a Party Guide section on her blog full of great tips for designing a fabulous event. I love how clearly she outlines the steps in her guides. 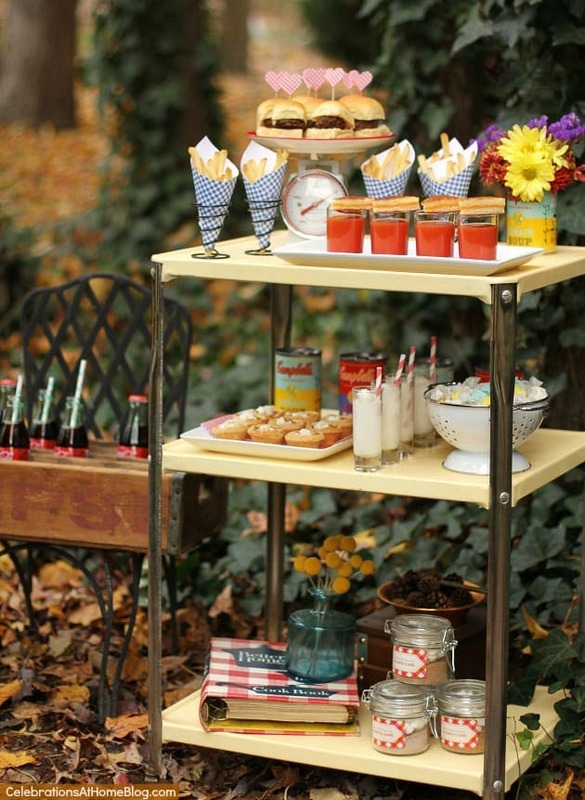 Sara of The Homespun Hostess is an expert at putting together all the little details to create the perfect party. She has a lot of tutorials to help you pick the right pieces to complete your party display. Lindi of Love The Day not only has creative ideas for decor and party styling but she also has fun ideas for party activities. A party just isn’t a party without some entertaining activities! Jasmine of Idea! Event + Style always has an element of elegance in the parties that she styles. 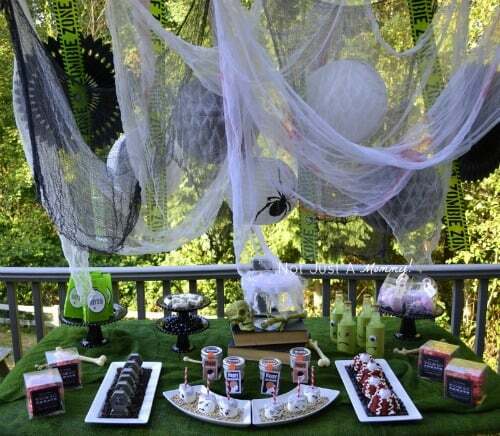 She is great with making a party theme fit the guest of honors personality. Miranda of Whimsically Detailed is always searching for the best party ideas to share with her readers. Not only does she style beautiful parties herself but she collects some pretty fabulous ideas from other talented designers as well. You’ll find a lot of inspiration on her site and Pinterest boards. 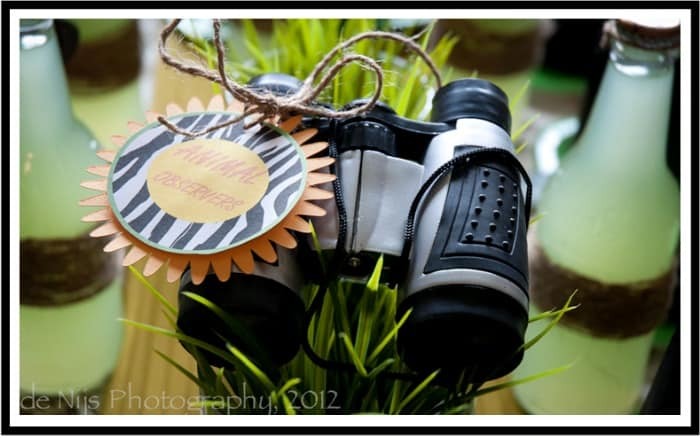 Nancy of A to Zebra Celebrations is the lady to see if you’re looking for animal print party ideas! 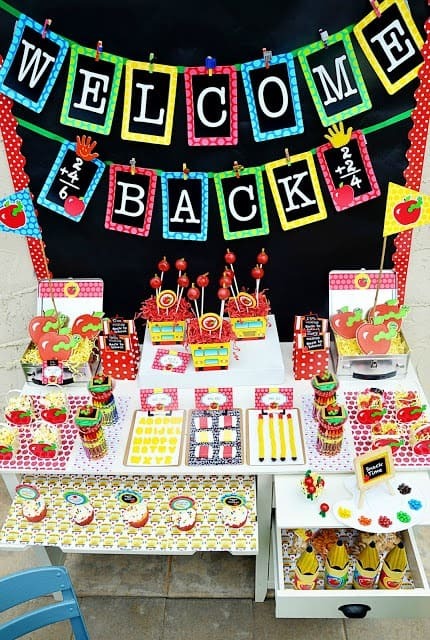 She has such creative party ideas for all sorts of themes – not just the adorable animal prints. Of course, I’d love to have you follow the Moms & Munchkins Pinterest boards as well. We have loads of inspiration boards for parties and we’re adding more every week. For more party planning tips, follow along on on Facebook, Twitter and Bloglovin’. This is such a wonderful list!!! Except you are missing from the list!! My favorite party on this list is the owls! I think it’s so cute. These are all so pretty!! You can see all the little details that really made it to be an awesome party!! So creative!! OMG, these are Awesome! I love them all, I just can’t pick one :0) I’m following you on pinterest right now! 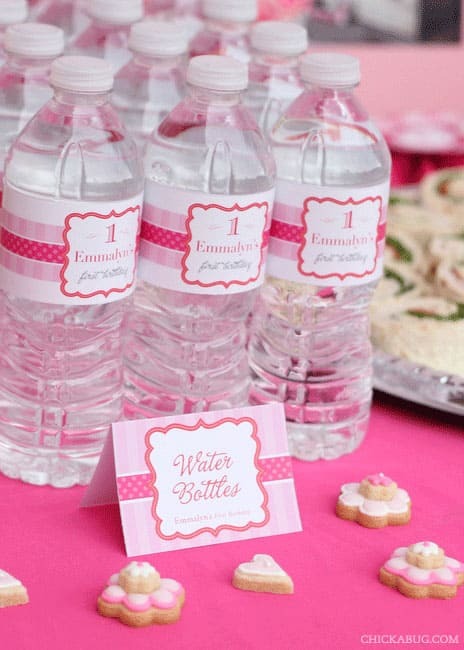 Thank you so much for including Giggles Galore in this amazing list of party planners. I could spend hours looking at everyone’s pretty parties! Thanks so much for including me in such a talented group of women! OK, now following those on the list I wasn’t already. Thanks for introducing me to all of these talented party planners! Thank you so much for including me on your list!! Totally made my day! wow, those are amazing parties! i love the you are my sunshine. absolutely darling. Hi Cheryl. Thanks for including me in the list. Such a great group of creative minds here! Thank YOU for sharing such fabulous ideas! I really love your party design series.